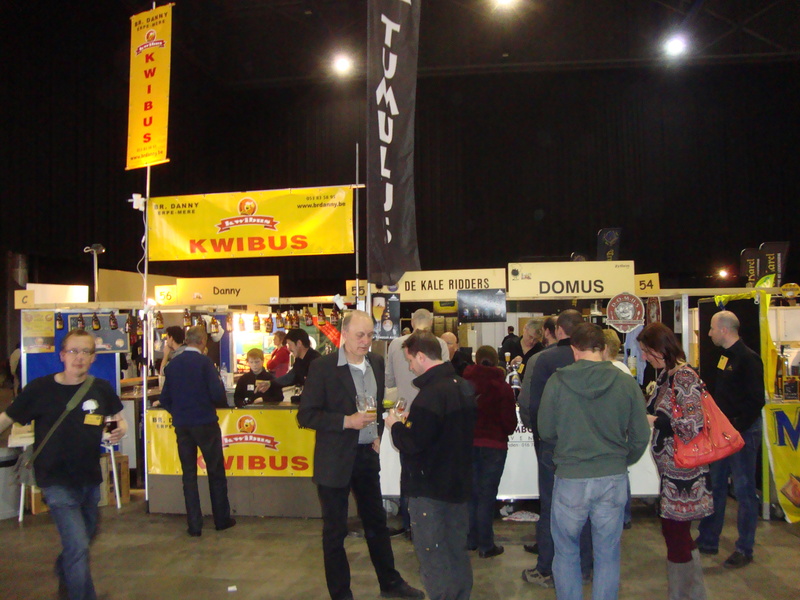 The 10th annual Zythos Bier Festival was held in Leuven, Belgium on Saturday and Sunday April 27/ 28, 2013. 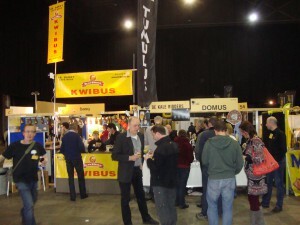 Over 500 different Belgian beers were available to sample. Admission to the festival is free; each 150 ml sample costs one token (€1.40). Attendees seemed to be mostly Belgian, though we also met other visitors from the United States, UK, and the Netherlands. Getting to Leuven was easy – trains from Brussels run every 30 minutes. There was a free shuttle bus from the Leuven train station to Brabanthal hall. The wide variety of Belgian beers was fantastic. Old classics from Dupont, St. Bernardus, and many others (including all of the Trappists, except Westvleteren) were available, as well as innovative new Belgian brewers like de Struisse, The Musketeers, and Verzet. In addition to buying tokens, you need to put down a refundable deposit (€3) for a souvenir tasting glass, and likely purchase a thorough program listing all of the beers (€0.50). With glasses in hand, we then started visiting the 100+ tasting booths. 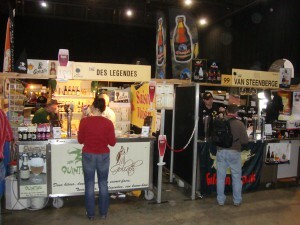 One of the more popular stands was the double-sized booth shared by De Struisse and Alvinne. My favorite here was the Rio Reserva. Also available were Cuvee Delphine, Pannepot, Shark Pants (a hoppy collaboration with Three Floyds), two barrel-aged variants of Melchior, and many other beers. Other standout offerings were La Vermontoise (Blaugies/Hill Farmstead collaboration), Duvel Tripel Hop (Sorachi Ace this year), Prearis Quadrupel (coffee infused), St. Bernardus Paasbier. Only a single AB InBev product was available (Leffe Royale, being served via a self-serve tap system that they are marketing for in-home use. (The Diamond Club in the Brussels airport also had the same system serving Leffe beer to their customers.). The Sunday session was less crowded overall, so there was more opportunity to talk with the brewers, as well as other attendees. Food was available for purchase – frites, pizza, hamburgers, paninis, pasta, etc. The festival hall is located at the edge of a business park, so the only food options are the ones provided by the festival. A small amount of beer-related merchandise was available for purchase, as well as bottled beer at many of the booths. Very few of the beers ran out before the end of the day’s session (with the exception of de Strusse/Alvinne, where about half the beers were depleted before the end of each day) and there were few lines to wait for beer). A nice touch that is perhaps common at Belgian festivals, was that the servers at each booth would wash (with soap) and rinse (separately) your glass for each sample. Seating at tables, as well as some free- standing tables was available. All of the tasting booths, as well as the seating was located indoors (non-smoking), with a small outdoor smoking patio, as well as the food trucks which were located outside. Another unusual feature (from my perspective at least) was that while admission to the festival was free, use of the restrooms cost €1.50 (one time fee for the session). We had a great time at Zythos and I would recommend attending to anyone who loves Belgian beer. The Belgian beer drinkers that we met were very knowledgable of Belgian styles and brewers. Many in attendance were members of clubs (with matching club shirts) that meet to learn about and sample beer – usually under the guidance of a brewer or other experienced taster. 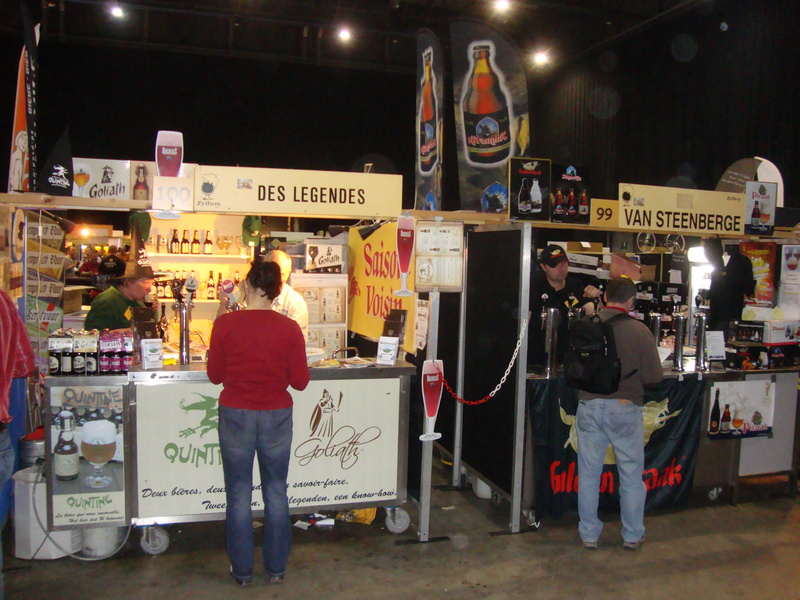 And if you make it to Belgium, then you will have the opportunity to visit any number of classic beer destinations. This entry was posted in Festivals by Bama Jay. Bookmark the permalink.